The American Health Council has warmly welcomed Dr. Rahel Rothschild as “Best in Medicine”, in recognition of her outstanding contributions to the field over the course of her 22 year career. Focusing her studies on this goal, Dr. Rahel Rothschild went on to obtain her MD-OBGYN from the University of Minnesota Medical School in 1995. This was followed by a residency at the University of Minnesota Health Care System. Since completing her training, Dr. Rothschild has accumulated over two decades of experience, developing particular expertise in Family Medicine, OB-GYN, Dermatology, Behavioral Health, and Diagnostic Laboratories. The esteemed doctor is particularly interested in learning more about applying integrative medicine into practice routine for high risk obstetrics. For the past 17 years, Dr. Rothschild has worked as a Physician for the award-winning nonprofit healthcare system Fairview Clinics, which offers primary and specialty medicine at locations close to a patient’s home or work. Fairview provides complete care for the entire family, including dermatology, OB-GYN, and pediatric services, working to prevent illness and injury while also caring for the most complex medical conditions. On a day to day basis, Dr. Rothschild can be found working in the OBGYN office and consulting with her patients. Over the years, Dr. Rothschild has been recognized for her outstanding achievements in the field and has been the recipient of several awards including The Patient Choice Award in 2011, the Most Compassionate Physician Award, America’s Top OBGYN in 2011 and Champion of Cake in 2013. 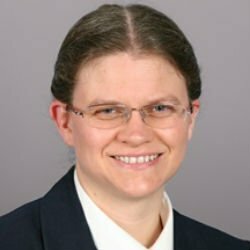 Her work has also been published by Consumers Research and the Council of America. She attributes her many successes to her hard work, compassion, and ability to build relationships with women at all stage of their lives. The American College Obstetrics and Gynecology and The American Medical Association. Looking to the future, Dr. Rothschild hopes to expand her expertise and specialities by introducing integrative medicine and natural remedies into her practice. When not busy working, Dr. Rothschild enjoys teaching homeschooled children and being creative, particularly by doing arts and crafts. She also enjoys reading. Fairview Clinics offer primary and specialty medicine at locations close to your home or work. Fairview provides complete care for the entire family, including dermatology, OB-GYN, and pediatric services. 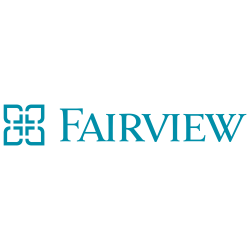 Fairview Health Services is an award-winning, nonprofit health care system which works to prevent illness and injury while also caring for the most complex medical conditions.